. 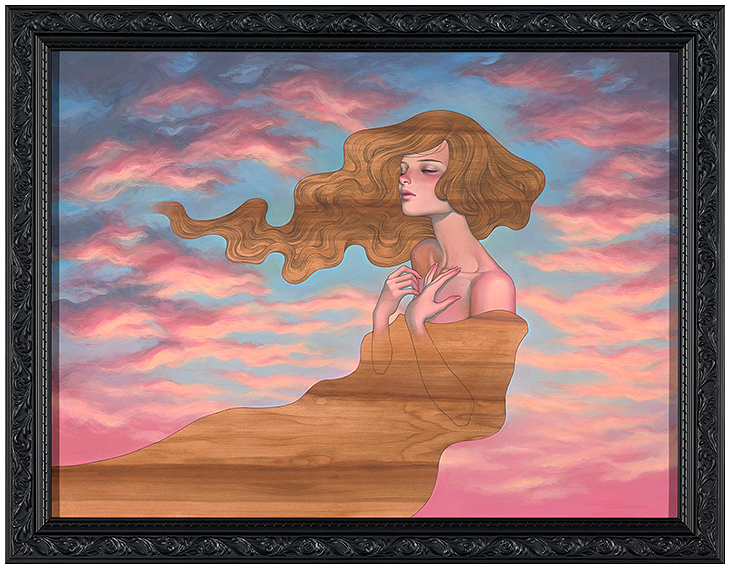 audrey kawasaki . 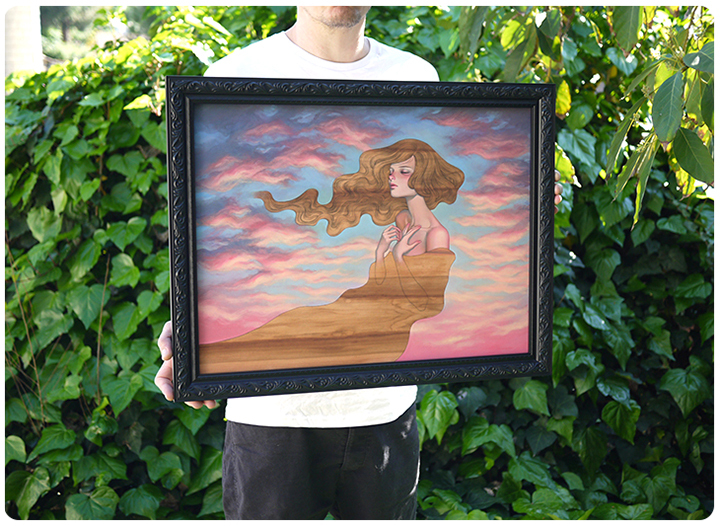 : 'As I Fall' 48 hours Time Limited Print Sale! 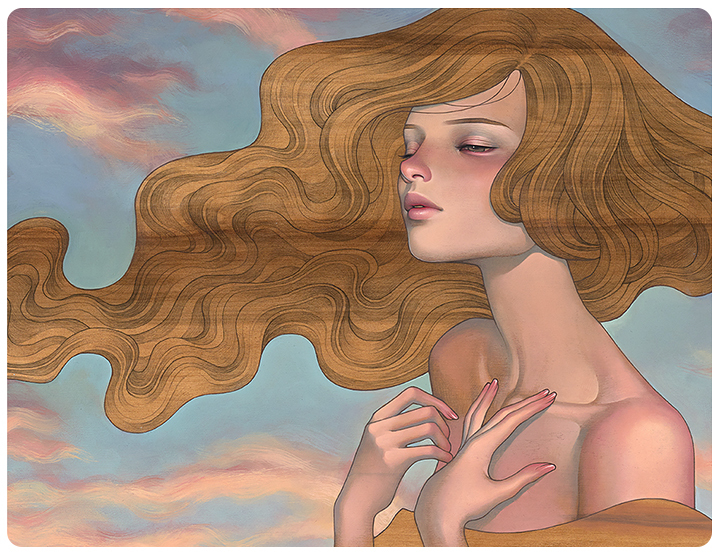 'As I Fall' 48 hours Time Limited Print Sale! 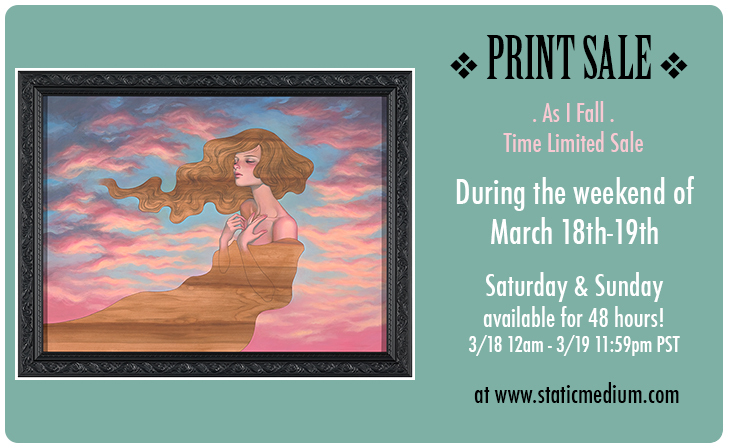 The print 'As I Fall' will be available for 48 hours this coming weekend! This will be a Time Limited Edition. The sale starts on Saturday, March 18th 12am (midnight) Pacific Time and ends after 48 hours. If you order within the 48 hours, you will be guaranteed a print! The sale will close on Sunday, March 19th 11:59pm Pacific Time. The edition size is determined by how many orders were made within the 48 hours. Available for purchase on Static Medium Shop. 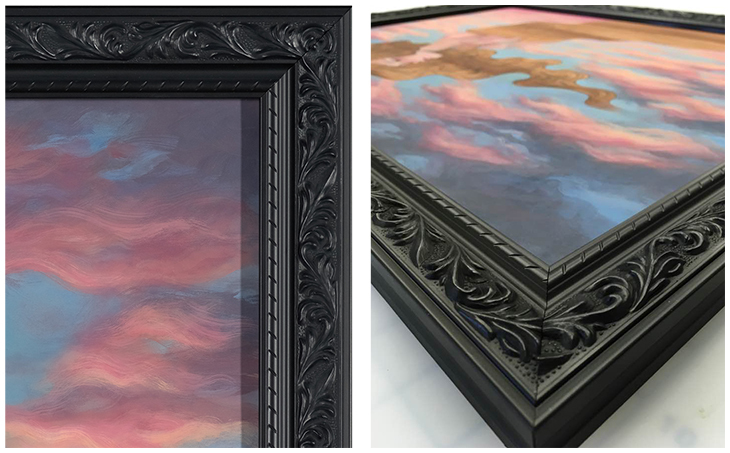 The 'As I Fall' print has a framing option. A beautiful black moulding, personally picked out by myself. Conservationally framed with UV-filtered acrylic. Acid-free backing and spacers to allow the print to breathe. Approximately 21" x 27" with frame. Made by a super skilled framer with over 15 years experience! Please allow up to 6~8 weeks for delivery. There is a chance that framed orders may take longer, depending on the number of orders. We will contact those people individually. Email us at mail@audrey-kawasaki.com if you have any other questions or concerns. Such a beautiful prints!The house is the most place printing are used as decorations. The ability to create any high-resolution image you might have means that regardless of whether you are designing a main living or cusine area, a kids bed room, your own bed room, or even your front entrance or kitchen; a customized fabric create will look great for your home. wow so beautiful thank you for sharing. What a beautiful design to see here, great job just done here. 'Shine On' Mural at House of Blues in Anaheim.